James O’Shea has seen a lot in his four decades as a newspaperman. And yet, even he was taken aback when Rupert Murdoch closed the News of the World tabloid in Britain in the wake of a hacking scandal. “That’s a pretty incredible step,” declared O’Shea. At a time when newspapers are downsizing or closing, the News of the World was highly profitable. And yet, when it came to light that some journalists at the Murdoch-owned paper were hacking into private information of (among other people) crime victims, the News of the World had actually been making lots of money. Not that O’Shea is exactly weeping for the Australian-born media titan. “Rupert Murdoch is a smart businessman,” said O’Shea. O’Shea himself has had run-ins with powerful businessmen in the media world, and they are the subject of his compelling new book The Deal from Hell: How Moguls and Wall Street Plundered Great American Newspapers (Public Affairs). Just a little over a decade ago, O’Shea notes, newspapers across America earned $44 billion in advertising. It was also around this time one of the most infamous business transactions in American history was being planned. For better or worse, O’Shea had a front row seat. Interestingly, as big wigs at the Chicago Tribune newspaper began plotting how to purchase the Los Angeles Times newspaper, a couple of other much smaller transactions were taking place. Two little companies, Craigslist.com and Google.com, were going public, while a fellow by the name of Matt Drudge was -- literally -- looking through garbage cans for information for a gossip web site he’d started. In the years that followed, Drudge, Google and many other Internet pioneers would be flying high. And newspapers, even stalwarts such as the Tribune and the Times would be fighting for their lives. O’Shea grew up in St. Louis. His paternal ancestors, Jeremiah O’Shea and Margaret Sullivan, came to the U.S. just after the Famine. His maternal family roots also runs back to Cork. A self-described weak student, he took to writing while in high school, a military school run by the Christian brothers. He began a slow, steady rise up the ladder of the journalism world. In 1984, this took him to Ballyporeen, Co. Tipperary, where he covered President Reagan’s trip to his ancestral village. 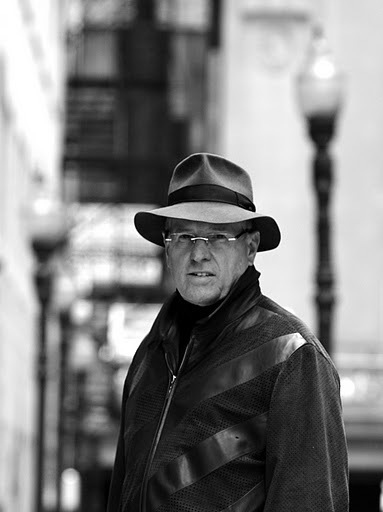 O’Shea had a made a name for himself as an investigative reporter and became a top editor at the Chicago Tribune, which, by the 1990s, was making a tidy profit for the Tribune company. Hoping to become an even bigger player in the media game, the new owners of the Tribune Company purchased the prestigious Los Angeles Times (owned by the Times Mirror Company). And O’Shea was tapped as top editor at the LA paper. He was greeted with skepticism in the Times newsroom, seen as an outsider perhaps sent to do the bidding of the paper’s new corporate owners. Meanwhile, as the 2000s progressed, the media landscape had changed dramatically. All newspapers struggled to hold onto advertising, while the Internet boomed. Corporate owners looking to save money chopped newspaper budgets, forcing journalists onto the unemployment line. The last straw came when billionaire Sam Zell -- who had no experience running a media company -- purchased the floundering Tribune Company. Soon after, the company was completely bankrupt and O’Shea was out as Times editor. O’Shea’s book is a fascinating fly-on-the-wall account of how powerful executives injured the newspaper industry. Over-reliance on advertising and slashing quality content, O’Shea contends, are what did newspapers in. In the Internet age, O’Shea believes news organizations are simply going to have to charge money for their content if they are going to survive. These days, O’Shea is editor of the Chicago News Cooperative, which partners with The New York Times and other outlets to produce quality reporting.